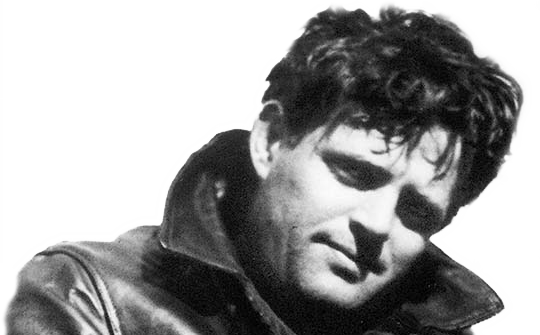 You are curious, adventurous and eager to experience things in your own way…just like famous world traveler and explorer Jack London! Welcome to Jack London State Historic Park, the place he thought was “the most spectacular in the world” and where, after all his exploits around the world, he made his home. This app has been designed for people like you—who want to go a bit deeper, discover the history of a place and be guided to what should not be missed. 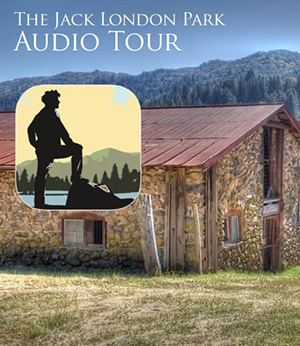 Download the Jack London Park Audio Tour to experience, at your own pace, your “virtual” guide leading you on a personal tour. Hear quotes from Jack London describing his vision for Beauty Ranch and passion for sustainable land management, which will enrich your visitor experience. Take Jack along with you on your visit! Jack London State Historic Park now offers 2 self-guided audio tours of the park. The Wolf House audio tour includes the House of Happy Walls Museum, Wolf House Ruins, and London Gravesite. The Beauty Ranch audio tour includes the Londons’ Cottage, Winery Ruins, and Pig Palace. Download the app before your arrival at the park (recommended) or in the Museum parking lot. Follow the audio tour sign posts with corresponding numbers located throughout the Park. Maps of both audio tours are available below or upon request at the Park Museum.